Shona ba shona – or shoulder by shoulder in Pashto – is how the members of the New Zealand and Australian Defence Forces have operated at Multi National Base Tarin Kot, Afghanistan. (Image courtesy of Department of Defence). Last month, considerable homage was paid to the Anzac legacy. Australia has been scrupulous in acknowledging the ‘NZ’ in ANZAC at events across the country. And New Zealand is consistently ranked as the country most warmly regarded by Australians. But the relationship is much more than about sentiment; it’s also about delivering prosperity and security for both countries, which is why both governments continue to invest heavily in it. The intensity of ministerial engagement is one marker. In the last six months that’s included six Prime Ministerial and thirty ministerial exchanges, plus constant informal interaction by phone or SMS. It’s also evident from the issues on the agenda, from dealing with foreign fighters to advancing regional trade cooperation; encouraging development in the Pacific to aligning qualifications frameworks. The reason for New Zealand’s investment is obvious. On almost any metric Australia matters to us more than any other partner. While China is sometimes our largest goods market, Australia remains our number one economic partner by far. In addition to $24 billion in two-way trade, Australia accounts for almost half our visitors, owns nearly all our banks and is our largest source of investment. Australia is also our indispensable ally and security partner. The Anzac legacy is central to this, but our cooperation goes much broader and deeper. From Australian police in post-earthquake Christchurch to Kiwi firefighters battling Victoria’s bushfires, we’ve been each other’s first port of call—and the first to offer assistance. On the world stage, where we face the same global issues and trends, our cooperation is often most evident. Our defence forces have served alongside one another in conflicts on nearly every continent, including in Afghanistan. Our cooperation in the Pacific was most recently demonstrated in the response to Cyclone Pam in Vanuatu. We’ve both played leading roles on trade liberalisation. And our negotiating cooperation continues to serve us well in regional trade initiatives. Our agencies collaborate extensively and New Zealand is even represented in an observer capacity at Council of Australian Governments (COAG). The question therefore is what’s in it for Australia. We think quite a lot. Economically, we’re Australia’s sixth-largest trading partner and fifth-largest export market. More than 17,000 Australian businesses export to New Zealand compared to only 5,000 exporting to China. New Zealand is an important market for higher cost industries like manufacturing, pharmaceuticals, IT and services. More Australians travel to New Zealand than any other destination. We’re also Australia’s third-largest investment destination, worth $81 billion in 2013. And with $30 billion invested here, we’re Australia’s ninth largest source of FDI. So the New Zealand economy underpins a lot of Australian jobs. But we also add value outside the economic sphere. We’re deeply connected security partners and force multipliers. Our naval vessels have been used as substitutes and supplements for Australian deployments and even patrol Australian waters; Royal New Zealand Air Force aircraft are routinely used for Australian tasks, including P3 Orions supporting Australian efforts to find MH370. 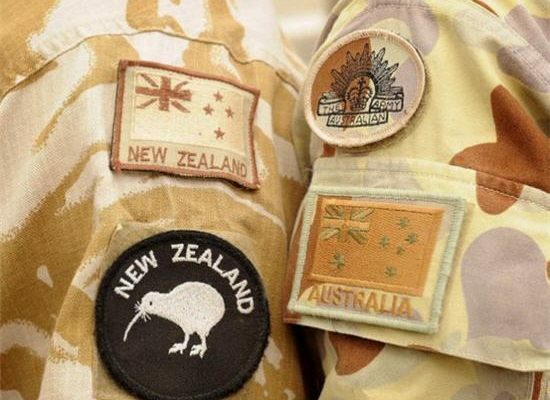 Following New Zealand’s army restructure, we’ll have a brigade of similar fit and structure to Australia’s three. Day-to-day defence cooperation is extensive. In 2014, more than 1,000 Australian Defence Force and New Zealand Defence Force personnel crossed the Tasman for work related tasks, not including exercises or ship and aircraft visits. More than 80 NZDF personnel are posted to the ADF, either embedded or training. One in four of those are instructors, demonstrating that New Zealand is also delivering value to the ADF and international students. So what’s the agenda going forward? The ongoing challenge is to get better connected—bilaterally to one another but more importantly together with the rest of the world. As relatively small, open, capital importing economies, we can each boast impressive businesses but too often the lack scale required to get market share. The challenge is to put our uniquely integrated relationship to use in improving competitiveness, attracting investment and properly establishing ourselves in global value chains. That is why we’re pushing to establish things like a single patent regulator, speeding trans-Tasman travel through innovations like SmartGate and why we’re pleased Australia is considering mutual recognition of dividend imputation—removing one of the last barriers to free capital movement. Nor are the benefits only economic. Our joint efforts combatting illegal fishing in the Southern Ocean and training elements of the Iraqi army demonstrate how we’re working together to confront new security challenges. Ten years ago, it would also have been hard to imagine New Zealand and Australia having consecutive terms on the UN Security Council. But our recent success shows that our distinct but complementary identities are enabling us to project our shared values in a way that significantly transcends our individual reach. The Trans-Tasman relationship isn’t something that tends to grand visions but is the product of persistent and pragmatic effort over many years. Ensuring that our ‘project’ continues to deliver for both sides of The Ditch is the ultimate tribute to the sacrifice and mateship we commemorate on Anzac Day. Chris Seed is New Zealand’s High Commissioner to Australia.